Kakvan, A. (2015). Analysis of the Thermal Comfort Properties and Heat Protection Performance of Cotton/Nylon-Kermel Fabrics. Journal of Textiles and Polymers, 4(1), 37-44. Ali Kakvan. "Analysis of the Thermal Comfort Properties and Heat Protection Performance of Cotton/Nylon-Kermel Fabrics". Journal of Textiles and Polymers, 4, 1, 2015, 37-44. Kakvan, A. (2015). 'Analysis of the Thermal Comfort Properties and Heat Protection Performance of Cotton/Nylon-Kermel Fabrics', Journal of Textiles and Polymers, 4(1), pp. 37-44. Kakvan, A. Analysis of the Thermal Comfort Properties and Heat Protection Performance of Cotton/Nylon-Kermel Fabrics. 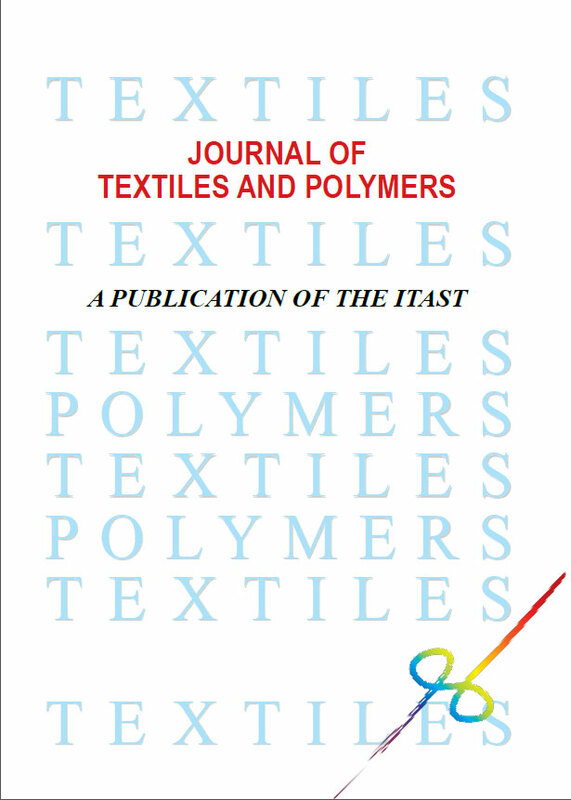 Journal of Textiles and Polymers, 2015; 4(1): 37-44. In this research, fire and radiant heat protection and thermal comfort properties of cotton/nylon-Kermel blended woven fabrics, were utilized to predict the thermal comfort and protection limit of this fabric structure based on Woo and Barker developed model. The results showed that the porosity, the air permeability and the thermal resistance increased with Kermel fiber blend ratio. Conversely, the water vapor resistance decreased with increase of Kermel fiber blend ratio up to 40%. The thermal conductivity of blended fabric didn’t change with the increase in Kermel fiber blend ratio up to 40%. Cotton/nylon fabrics, particularly those containing 30% Kermel, exhibited the highest upper thermal comfort limit and also the widest range of fabric metabolic activity level. The Kermel fibers had a significant effect on prevention of fire diffusion and Radiant Protective Performance (RPP) of fabrics. The results of vertical wicking and MMT tests show that adding Kermel fibers up to 10% detracts these thermal comfort properties significantly. The results of this research suggest that blending Kermel fiber with cotton and nylon at a blend ratio of 30% enhances thermal comfort limit and heat protection of blended fabrics. Moreover, cotton/nylon (50/10) blended with 40% Kermel fiber leads to desirable thermal comfort properties. ASTM INT, vol. 7, 2000. Textiles”,Woodhead Publishing Ltd.,Cambridge, England, 2000. M. Matusiak, “Modeling the thermal resistance of woven fabrics”,J. Text. Inst., vol.104, no.4,pp. 426-437, 2013.
properties of defense protective clothing”, The Sci. fabrics”, Text. Res. J., vol.75, no.7, pp. 523-530, 2005.
to evaluating the comfort of functional clothing”,J. Fiber Bioeng. Inform., vol. 1.1, no. 3, pp. 173-176, 2008.
response to textiles”,Int. J. Cloth. Sci. Tech., vol. 14, no. 3/4, pp. its relationship to fabric properties”, Text. Res. J., vol. 75, no. 7, pp. Characteristics of Plain Woven Fabrics”, J. Text. Assoc., vol. 71, no. fabrics”,Fibres Text. East. Eur., vol. 12, no. 3, pp. 34-38,2004. Proceedings, Hong Kong Polytechnic University, Hong Kong. p.
some knitted structures”,Fibres Text. East. Eur., vol. 15, no. 5-6,pp. Polym. Test., vol. 27, no. 1, pp. 41-48, 2008. Fabrics”,Fibres Text. East. Eur., vol. 17, no. 4, pp. 46-51,2009.
vol. 101, no. 6, pp. 495-505, 2010.
no. 5, pp. 315-331, 1986.
fabrics in various high-intensity heat exposures”, Text. Res. J., vol. 57, no. 3,pp. 123-132, 1987. G.W. Song, R.L. Barker, H. Hamouda, A.V. Kuznetsov, P.
performance of heat resistant garments in flash fire exposures”,Text. Res. J., vol. 74, no. 12,pp. 1033-1040, 2004. MetaaramidYarns”,Mater. Sci., vol. 9, no. 4, pp. 391-394, 2003.
fabrics”,Text. Res. J.,vol. 54, no. 5,pp. 289-298, 1984. Fabrics”, Fiber Producers Conference, Clemson, SC., 1988. I”,Text. Res. J.,vol. 32, 1962. II”,Text. Res. J.,vol. 32, 1962.
no. 4, pp. 374-384, 2012. Chapter 5”, The McGraw-Hill Companies, Inc., 2004.
protective and heat-moisture transfer performance”,Fibres Text. East. Eur., vol. 15, no. 1, pp. 72-75, 2007. Fabrics”,Text. Res. J., vol. 80, no. 15, pp. 1522-1530, 2010.